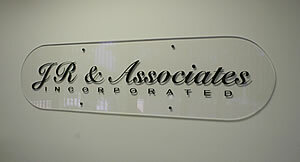 JR and Associates is a marketing group that was established in 1997. We are dedicated to developing partnerships between a company and a Professional Employer Organization. Finding the right PEO for a company requires much research and can often be a very time consuming task. When selecting a PEO, it's important to understand what needs and objectives your trying to accomplish. The partnership should benefit the company owner in a way that allows them to focus on their business. As a marketing group, our energy goes toward an understanding of your company and your needs. Once we determine what's best for your company, we go to our markets and take the time researching and selecting which PEO is right for your business. Having worked in the PEO industry since 1988, we have the resources to simplify the PEO selection process. We also know how to present your company to a prospective PEO to maximize the best quote possible based on your information. PEO customers include every type of worker from administrative assistants to waiters and every industry in between including doctors, retailers, manufacturers, contractors and more.